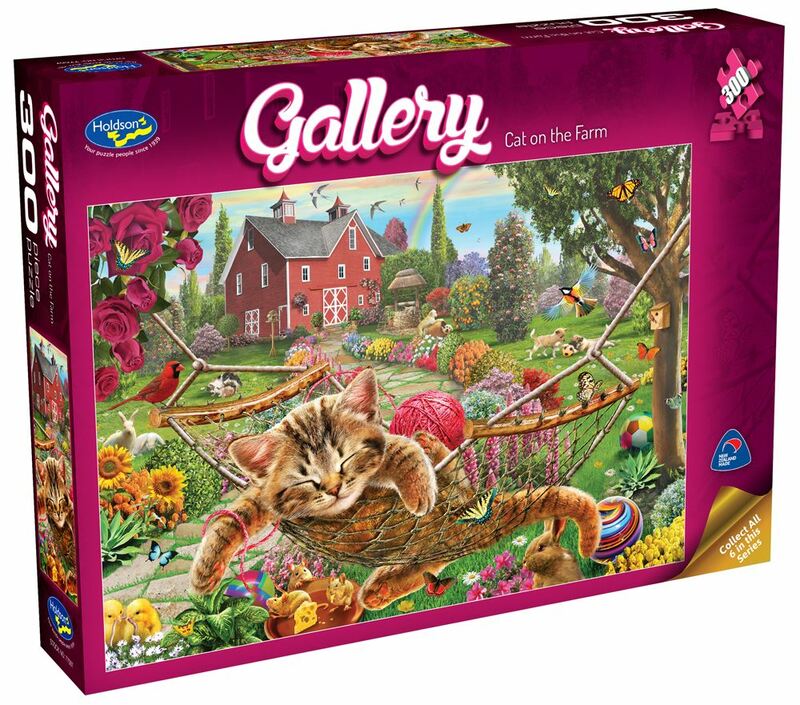 Collect the brilliantly coloured and beautifully detailed artwork of Adrian Chesterman in the Holdson Gallery 4 300pc extra large puzzle series. Each scene brings together his joy of animals and fantasy subjects. Titles include: Cat On The Farm, King Of The Jungle, Princess And Unicorn, Orca Fun, Savannah Waterhole and Space Odyessy. Each design sold separately. Collect all six designs. Age 8+ years. Made in New Zealand by Holdson. Approximate puzzle dimension: 498mm x 343mm. Box size: 270mm x 370mm.